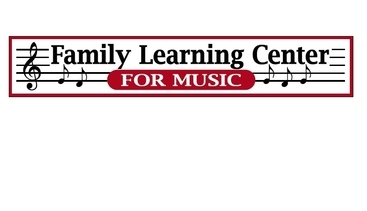 At Family Learning Center for music, we strive to keep an inventory of starter to intermediate instruments that accommodate beginners, students and working musicians. 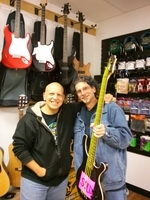 All of our in-stock and SPECIAL ORDER guitars are professionally set-up by our luthier Dave Rice. This is a service most box stores and EBAY do not offer! Our incredible distributor network allows us to place special orders on one day and receive most of them within a day or two. If we don't have something in stock, we can get it for you right away! 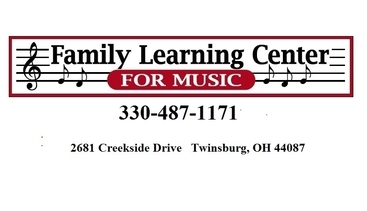 Our instrument availability for purchase and rental include guitars, bass, drums, keyboards, woodwinds, brass, stringed instruments, percussion and more. We special order bulk strings and supplies for working musicians weekly. Stop in or call for details. 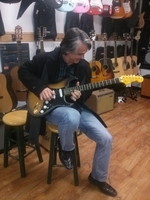 Local talent Randy Slama aka Ritchie from WANTED stops in to make a little music at the shop.